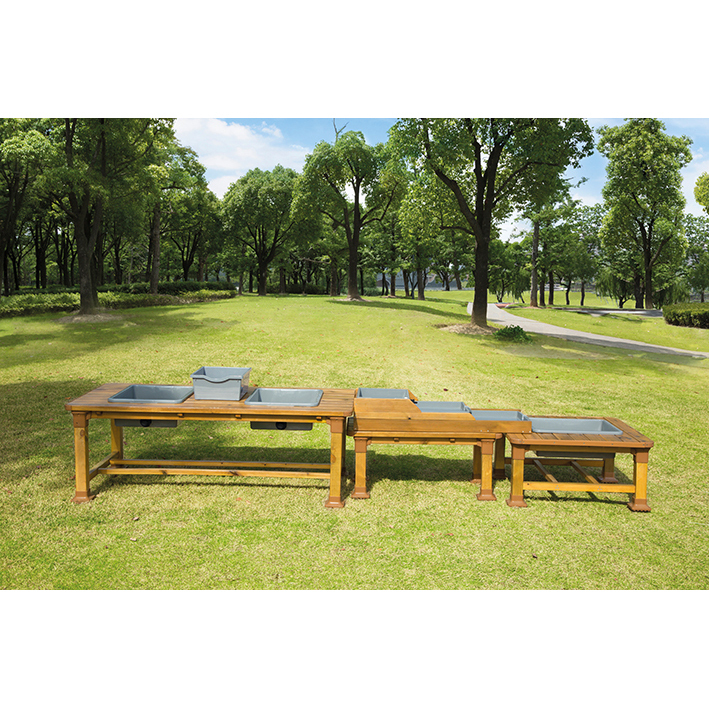 Manufactured from the finest durable pinewood which has natural patterns and grains for great aesthetic appeal. Our pinewood is pre- treated to provide maximum resistance against rot and decay.Supplied flat packed for simple self-assembly. 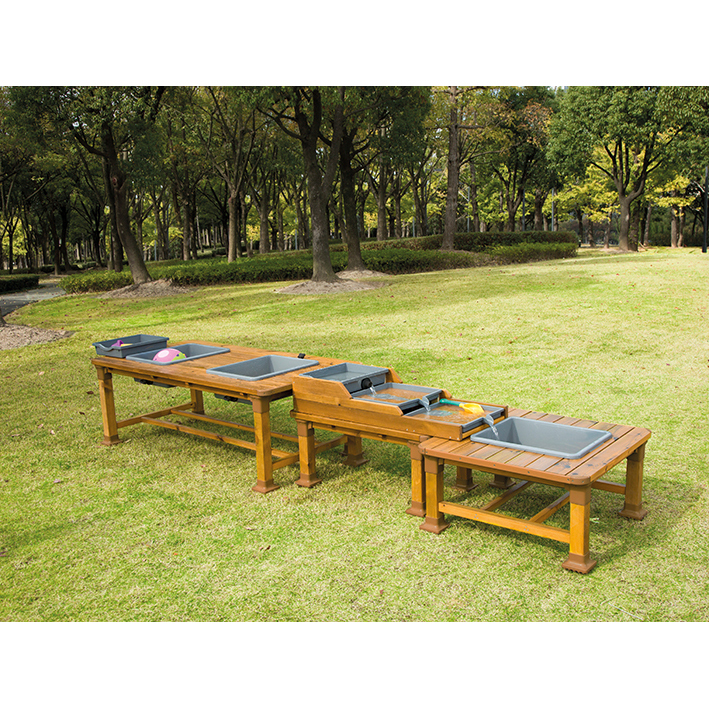 A super addition to your outdoor classroom. 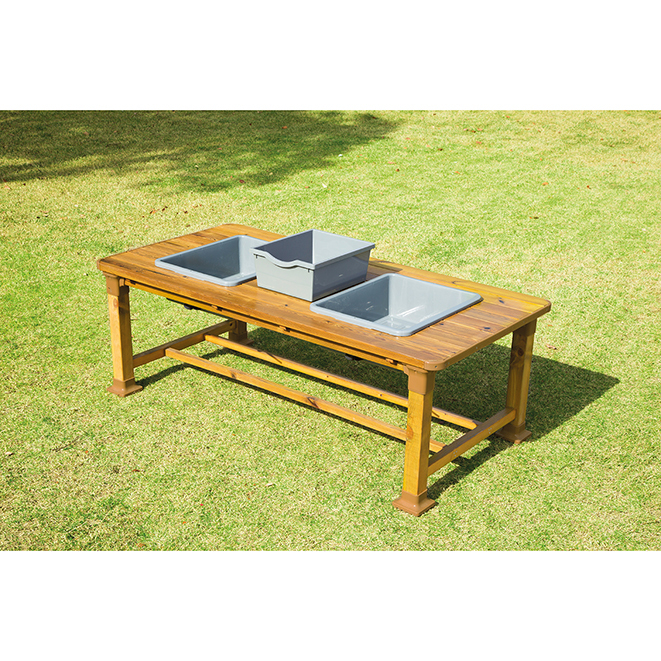 Our Messy Play Table comes complete with 2 plastic basins (260 x 230 x 190 mm deep) each with a top, which can hold mud, water, sand and other natural materials. 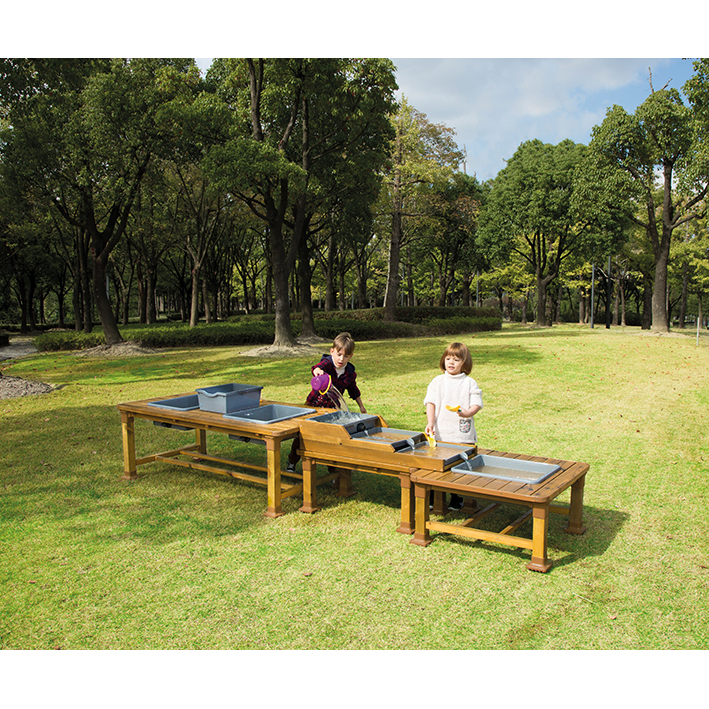 Sure to be one of the busiest resources in your outdoor area this table also comes complete with additional tray with tap – so children can have even more fun as they play, experiment and learn.